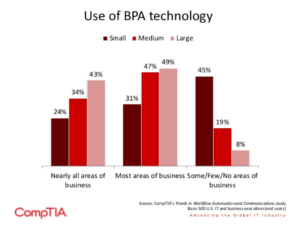 When it comes to business process automation (BPA), many businesses understandably just don’t know where to begin. If you’re one of many individuals looking to increase productivity and find ways to effectively scale your business, automation is the single best way to do this. When it comes down to it, pretty much half, if not most of business processes could benefit from automation in some type of way—and just about every successful business knows this first hand. One Cognizant study found survey respondents claiming that on average, 24-45% of their business workflow was automated. 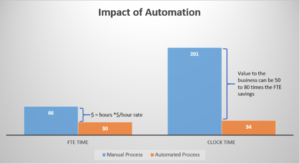 This automation typically dealt with process and tasks high on “rote procedures” and “manual inputs”. 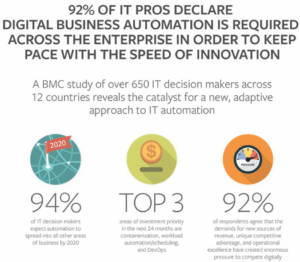 Additionally, “about half” of the respondents foresaw automation to “significantly improve” their business processes, with “nearly one-fifth” claiming to have achieved cost savings greater than 15%. There’s no denying the power of automation. 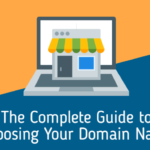 So how do you know if this is the right decision for your business? Well communication is one significant area that often shows need for improvement when it comes to workflow. Do you find there is often a struggle with communication? Erratic communication is a major sign that your business could benefit from automation. Erratic communication leads to a lack of accountability, which can lead to missteps in processes and key tasks being skipped or even forgotten. Needless to say, this can have a major impact on your bottom line. So if you’re one of the many businesses out there struggling with these common occurrences, you’re going to want to take a look into some of the main benefits that automation can have for you. Automation helps cut costs, save time and get rid of menacing bottlenecks in workflow processes. Stop wasting valuable employee resources on rote and redundant tasks such as invoicing and data entry. Not only can businesses cut costs, but they can also increase revenue because automation can drastically improve workflow productivity. 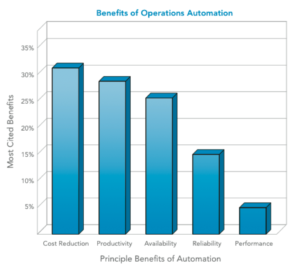 Automation helps increase the effectiveness of your processes. Nix the busywork and get your employees focusing on more pertinent tasks and projects. 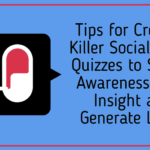 By doing this you are setting your business up to scale and meet more demand from clients. Automation helps minimize human error by harnessing the accuracy of machines and can work to improve the flow of communications. It also increases accountability because projects and processes are better managed and thus productivity increases. Automation also makes your business more capable so you are better able to serve your clientele and reduce variation in the customer experience. Whether your goal is to increase efficiency and effectiveness with your company’s internal lines of communication, marketing processes, project management, sales and acquisitions or all of the above, automation can make this possible. So stop wasting valuable employee time and energy on tasks such as expense reporting, invoicing and employment reviews. According to CompTIA’s Trend in Workforce Automation and Communication, these are all areas where organizations are implementing technology in order to “move away from paper and manual processes to digital formats”. When it comes down it, a major goal for any business should be to automate as many manual processes as possible. Identifying realistic goals and a defined scope is the first step to success in strategizing. After all, you want to get a baseline so that you can be sure that the costs associated with the implementation of such an endeavor such as potential licensing agreements and employee training are going to be worth it. Are you looking to improve interdepartmental communications? Are you looking to streamline the digital marketing process? Perhaps you are searching to get a handle on project management. Write these down and use them as a baseline to work from. Know the goals you want to achieve with this process and how you plan to measure the effectiveness of the potential change. Conducting a thorough workflow analysis is the second step togetting started on the right foot when attempting to implement business process automation. Try making a visual depiction such as a diagram in order to better understand the current workflow process and identify bottlenecks and inefficiencies. Talk to key employees and get the breakdown from their perspectives. This is especially important for processes/projects that span various departments. Does it involve predictable steps? Are two or more people required for it to be completed manually? If the answers to these are a resounding “yes”, then you’ve found yourself a winner. It’s also important to note that you shouldn’t ever force your way into automating areas that show the “highest resistance” and/or have the potential to reap the lowest benefits from automation. 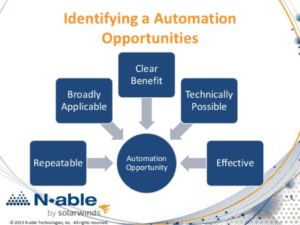 Identifying the best solution for your unique situation is the third step in the automation process. Keep in mind that the worst thing you can do is try to automate an inefficient process using an ineffective solution. Ineffective solutions can range from choosing the wrong tools to not properly training and preparing employees for the transition. Generally speaking, you want a robust, intuitive platform that will give you plenty of customization options and a wide array of extension for app interconnection. What tools/systems do you currently use? If Google Calendars is the backbone in your scheduling process, you’ll want to find an application that is capable of integrating with it if scheduling is integral to the process you’re attempting to automate. The best systems on the market in their niche are the best because they have all of these features. Any business in need of a solid analytics platform heads straight to GoogleAnalytics or other reliable and full-featured options such as Kissmetrics because they’ve proven to be worth their weight in gold. E-commerce companies use Shopify, Hubspot and Salesforce.com are the biggest in the Sales & Marketing arena and when it comes to project management, Asana, Basecamp and Trello are the heavy hitters. 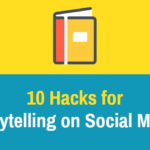 If you’re looking for social media marketing automation, Hootsuite, Buffer and Quuu are extremely popular, while Slack is the go-to in communication automation. There are endless options to choose from whatever your needs are and choosing the best system for your business boils down to your unique situation. Implementing your chosen solution as seamlessly as possible is key to the next step. In order to be successful in the implementation process you have to be proactive. Many times one of the biggest obstacles to business process automation is getting everyone onboard with the concept. Often times employees are concerned that automation inevitably leads to job loss, however this is not always the case. It is important to explain the numerous benefits that automation can have on employee satisfaction and the quality of their work life by eliminating busywork and mundane repetitive tasks. Automation can provide them the opportunity to focus on more crucial aspects of the workflow process and bring a more significant level of contribution and value to the company. 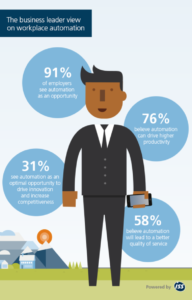 By all intents and purposes, automation is meant to enhance the employee experience. Remind them that automation is a gradual process and help overcome feelings of skepticism and concern with proper with open communication and transparency. 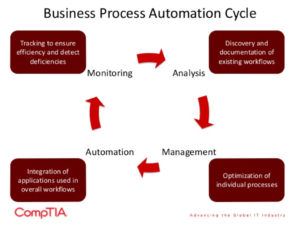 Analysis is the crucial final step in business process automation. Your work is far from over once implementation begins. Now, comes the part where you measure the progress, check back on your defined goals and tweak processes for optimization. 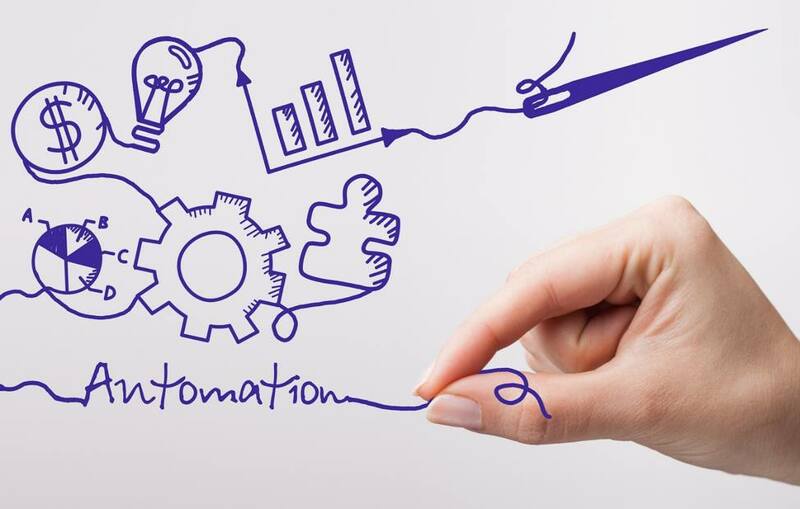 Business process automation is essential to take into consideration if you’re seriously looking to increase efficiency while effectively scaling your business. Don’t get stuck wasting valuable resources such as time, energy and money on processes that can be simplified and streamlined. Not only is this detrimental to your bottom line but it directly impacts employee satisfaction. So don’t get stuck at the tail-end of technological advancement. If you’re looking to be one of the companies that thrives in this rapidly changing and ever-evolving business landscape, then you’re going to have to get smart with your processes and stay ahead of the game. What are some ways that you think you can improve your workflow process with automation?